Be the first to hear about their new releases and deals. 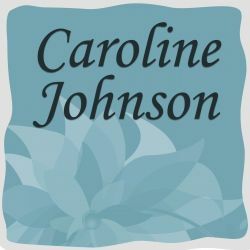 Download the Booksprout app and search for Caroline Johnson today! Caroline Johnson originally hails from the Midwest, but now enjoys the warmer temperatures and hospitality of the South. She is a firm believer that everybody deserves a happy ending. As a lover of romance, Caroline is passionate about touching other people’s hearts with messages that true love always prevails. Caroline’s stories run the gamut of historical tales of love to modern romances with relatable heroes and heroines. Because of her strong faith, Caroline’s stories are clean, wholesome and often Christian-based. When she’s not writing, Caroline is volunteering with her church or spending time with her husband, children and rescued pets. She loves hiking, biking, and exploring the beauty of nature, but is equally as fulfilled curled up on the couch with an almond milk latte and a good book.